Avery Regular HexaBumper Retriever Dummy. $6.99. This is the Avery HexaBumper. The HexaBumper is a little different from every other bumper on the market in that instead of being round, it is a six-sided dummy. It changes the way the dog grips it just a little bit, which has been real popular with folks. 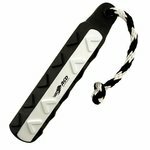 The V-grip design is set up to help the dog hold it in his mouth easier, especially when it's wet and slimy. It comes in three different colors -- white, which is easiest for your dogs to see, orange, which is hardest for your dogs to see, mainly used for blind retrieves, and then what's called a flasher, which is a little different. It's a black and white dummy. Little different from most black and white dummies that we've seen. Generally, black and white dummies are half black and half white on this side, where the flasher has black and white sides. It looks a little different when it's going through the air. The beauty of a black and white dummy is that it's going to stand out in any background situation. It's going to be easier for the dog to see when it's going through the air. It's going to be easier to see on a dark background or a light background, so they are great for marking. All the Avery dummies come with a throw rope already attached, even in different colors. You can get black and white with the black and white. You get white with the white dummy. And then you get black with the orange. Comes in two different sizes. The regular size is 2x10. The jumbo size is 3x11. I like a jumbo size because it's a little more natural from a dog. It gets them used to picking up either a duck or a pheasant. So, as they get bigger I'm going to with a bigger size dummy. It's just a little more getting them used to what they're going to be doing in the field. These are the only bumpers he will use. Love them! 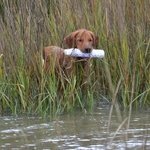 "Best prices I have found"
Best prices I have found on gun dog supplies anywhere! Good bumpers. Dog likes feel. "My dog loves the Hexa Bump style." My first time getting the black and white dummy. My dog loves the Hexa Bump style. She has a hard time seeing the two colors on the river if there are any waves. May go with white next time. "Great little bumper with good weight to it." Great little bumper with good weight to it. I use it in brush and low visibility areas with scent where my dog has to hunt for the scent to find it. Great little bumper to hide. "River just loves his bumpers." River just loves his bumpers. He'll retrieve them as long as I will let him swim in the pool. "Really like them they are soft and pliable." Really like them they are soft and pliable. Only draw back is they are on the heavy side, but I'm sure they last along time. "Easy for my dog to hold." Softest plastic bumper I have used. Easy for my dog to hold. "Best bumpers on the market." Best bumpers on the market. Bumpers work great. Easy for my dog to hold. Highly recommended, worth the investment. Wish I could give more stars. 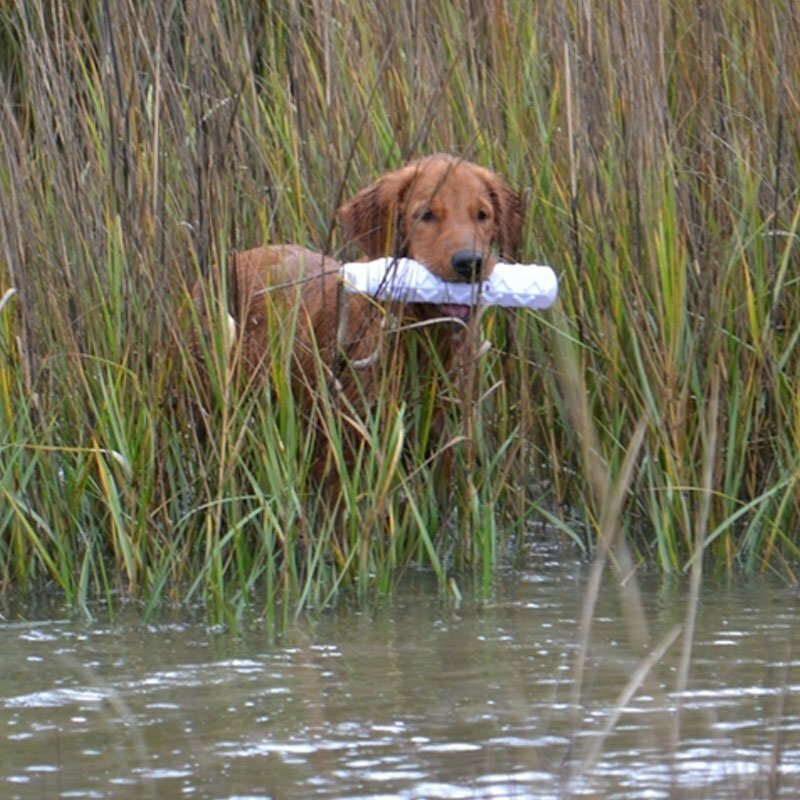 Only been a few sessions but already see improvement in confidence and hold in our retrieves! Especially effective for training our young dogs 6mos-1yr. They look great and give us both a style and performance advantage! Can't wait to get more!!! "This is the only bumper I will buy now." This is the only bumper I will buy now. My dogs compete in dock jumping and can catch these bumpers easily in the air when thrown from the dock. Also, the black and white markings ensures it can be seen no matter the background, water or venue. Thanks Avery for a great bumper. "Dummy is better than I expected it to be." Dummy is better than I expected it to be. Best there is. Easy to throw. Throws a long way (even for an old women!). Just the right weight. I was using a orange ball in training my vizsla in the ocean for strength and stamina. Anyway, he was having trouble seeing the orange. After reading the article on the black and white color he has shown to be a much better retriever. Thanks so much for your informative article. All the best. "Shipping was fast and complete." I see no problem with this type of dummy. 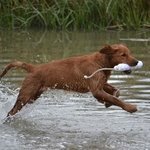 I have just started using it with a 6 month old dog that has been retrieving a duck type dummy. Shipping was fast and complete. As for liking it, the dog likes it. "I love the Avery bumpers." I love the Avery bumpers. I will only use Avery Hex bumpers in my training. "Not only do I love it, but my GSP, Coco Chanel loves it as well." They shipped very quickly. And my lab absolutely loves chasing after them. Very satisfied with you and your product. I recommend anyone looking for dog supplies to visit their site. You won't regret it. "Very nice bumper. High quality." Very nice bumper. High quality. "Best bumper on the market for teaching your dog good holding habits." Best bumper on the market for teaching your dog good holding habits. Would recommend it over any other brand. Quality of the bumpers are second to none! Great product! My dog loves to retrieve these over any other bumper. 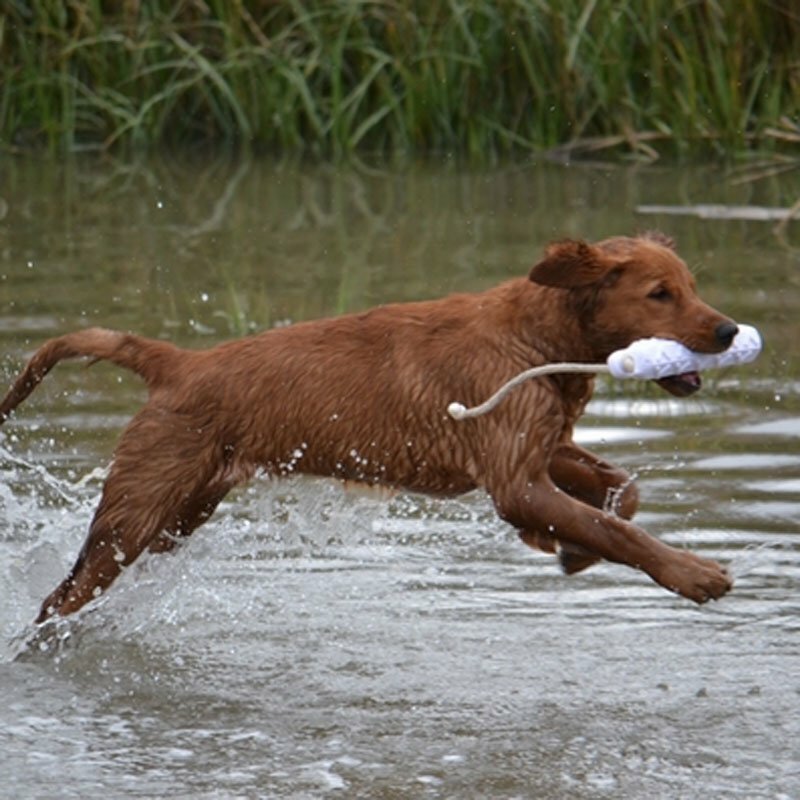 They are affordable enough to have several on hand, which is great for multiple retrieves. Durable and nicely weighted. Able to throw good distance with the supplied rope. Really like the fact there is no valve on them to allow water in. Float real nice, and the dogs love to retrieve them. Nice heavy duty bumpers. Have seen quite a few professional trainers with these in their bag. Very pleased with them!! "The Avery HexaBumpers were just what I was looking for." The Avery HexaBumpers were just what I was looking for. Shipping was fast, and customer service was excellent. All around great experience. "Great bumpers and I highly recommend them." Great bumpers and I highly recommend them. I bought all three colors for different training conditions. I also appreciate the great inventory, prices, and service that GunDogSupply.com provides. "Specifically looking for improved visibility." Specifically looking for improved visibility. We have orange dummies that our older dog never had a problem with. The younger dog will sometimes walk right over the orange dummy without seeing it. So far the younger dog is tracking every bounce with the flasher. Finds it even in 5 inch grass. "Just like you would expect, these are great training tools." Just like you would expect, these are great training tools. I'm going through force fetch right now, and continually working on marking. The flashers seem to have improved his marking after I started using them exclusively. "Easy for the dog to hold"
Easy for the dog to hold and easy for me to throw. "The Chessie hasn't chewed through it yet, so far so good"
The Chessie hasn't chewed through it yet, so far so good. Went through the Petco dummy on the first trip out. These are great quality and Gun Dog has the best prices. Millie loves this toy. She will go through the big ocean waves to retrieve it. "Best product on the market." Best product on the market. Very durable compared to others, and well weighted for distance. Thanks guys. I look forward to doing more business in the future. Oh, I almost forgot. FAST delivery. Can't beat that! Fox Red Lab. Hunts. Family pet. "I like the product, but I especially like Gun Dog Supply." I like the product, but I especially like Gun Dog Supply. I had omitted something on my online order, and I immediately received a call making my order correct. The customer service is phenomenal, and the shipping was super fast!! Worth the price. Quality is excellent. I have been buying products from you since you started. Everything has been great. With me being in MS I get most of my orders the next day. Svc was fast. Product is excellent. Convient Orderd sat morning. Recieved following weds. Confirmation of processed order on sat mid day. Very imressed with shipping proceedure. Is as advertised. Excellent product. "Received the shipment quickly and they have been the best at holding up!" Received the shipment quickly and they have been the best at holding up! We really got what we paid for! "I wish I would have purchased the slightly bigger model, however these look good and throw very easily." I wish I would have purchased the slightly bigger model, however these look good and throw very easily. Good solid product. Use it to exercise my Shepherd. These bumpers are great. Only comment is the knots that come tied on the throw ropes come undone very easily. If I don't remember to re-tie them as soon as I get them, the bumper inevitably flys off behind me when I swing the bumper to throw it. These are soft and dense. Easy to throw, and my dog can't see them in the grass. Got these to work on memory marks. That is, dog sees the fall and has to mark it. He can spot a white bumper from 50 feet; isn't forced to remember the exact fall area. The orange are near invisible to him, he has to concentrate and line right to them. Makes him a better marker. I'll stick to canvas for pile work, because $$$, but there are a quality item. I really like the black/white bumpers better than others, and the hex design does seem to help the dogs with really soft mouths hold them a little better. GREAT BUMPER. My dogs love them. Very well built, and they throw extremely well. My 3 year old black lab loves his retrieving dummy. I buy several at a time. We keep them in both vehicles. They hold up well to this active boy. Love the bumper. It is just the right size for a 10 week old puppy or a full grown dog. Very easy for my lab pup to pick up. Has great grip and texture. Does great for water retrieves. Shipping was really fast. Good follow up with customer service. And the product is just as great as every Avery product I bought in the past. I actually bought the Large size first after reading reviews, but it was too big for my pup. He was 5 months when the bumper arrived. We took it to the dog beach, and he went after it every time I threw it. We're still working on the bring it back part, but the bumper is holding up to its end of the bargain. Built well, easy to throw, easy for the pup to hold, easy to clean and durable. Bonus - he doesn't seem to want to chew it like he does everything else. Really like it. My dog sees the black and white so much better than the orange. These bumpers are durable, long lasting and a great training tool. Awesome product and super fast on receiving your order. The hexabumper works great for duck dog training! My dog can hold it easy in her mouth and can find it quickly no matter what environment you practice in. Very good and durable bumper, I highly recommend these.The black and white are great for hand thrown marks. They are very visible in the air, but not so obvious on the ground, which is preferred. Best bumper for the money. I am using this with my 4 month old Lab pup. It is a nice size for him. These are the only bumpers we buy - durable! The only ones they can't destroy! My lab loves the bumpers. The product is what it says. Good bumper no holes. Dog loves both B&W and orange. "This bumper is weighted beautifully for my children to play fetch with the dogs in the yard or for me to take them out to the river for a real workout." This bumper is weighted beautifully for my children to play fetch with the dogs in the yard or for me to take them out to the river for a real workout. The density of the material and shape of the outer shell have banished chewing from my dogs lexicon while retrieving. "Always receive the highest quality products from Gun Dog Supply." Always receive the highest quality products from Gun Dog Supply. "My dog loves her Hexabumper Dummy." My dog loves her Hexabumper Dummy. She wakes up wanting to retrieve and play. Great product, well constructed, and will last a long time. "I also have found them to hold up very well." I like both sizes of the hexabumpers. The dogs can grip them easily and the visibility is good. I also have found them to hold up very well. "My dog loves these bumpers as you can see that I am always ordering!" My dog loves these bumpers as you can see that I am always ordering! Great bumper. They are very durable. The black and white one has a strobe effect when thrown that my dog can easily mark. "I like the sturdiness of it." I like the sturdiness of it. "Product is excellent, and so is their customer service." Product is excellent, and so is their customer service. Great bumpers. Getting more soon! "I like the product very much." "Very pleased with these bumpers!" Very pleased with these bumpers! Dogs love them, and they arrived quickly. We will definitely be ordering from GUN DOG SUPPLY again. "Both dogs love to fetch these! " Both dogs love to fetch these! I can get a longer throw with these than any of our other fetch toys. Great bumpers that my dog can hold really well. She took to it right away. Perfect for our training needs! She really has fun with it. Throws great. You may need to re-tie the knot in the ends of the rope but other than that it's very durable. My dog loves it. Couldn't be happier! Thank you. I use this bumper for DockDogs training and competition. I like the alternating black/white so my dog can see it against all backgrounds. The weight is ideal, it is easy to toss but doesn't get blown off track in the wind. When this bumper comes out, she knows it's time for fun! These bumpers throw easy and young pups drop less than cylinder style. I like them! The hexagon shape really helps training a retriever to hold with just the right pressure. I love these bumpers. No valve for the boy to chew off. Soft on his mouth and most of all the shape. He's a smaller dog, just under 40 pounds, and he has no issue retrieving and swimming with this dummy. We use them for dock diving. "I have these in large and small, and in orange." I have these in large and small, and in orange. They seem to put up with plenty of use, the flashers are easy for the dog to see and track, even in low light. Work for me runs late and starts early often, and she can keep track of them at 4 am and 10 pm as easily as high noon. The hex shape is easy for her to handle, and seems to encourage proper carry, or at least with these she carries from the middle, as opposed to trying to grab the ends. They do trap mud and dirt quite a bit, but I have thrown them in the washer or dish washer, top rack, when nobody is home to rat me out, and they take each equally as well. I have had these for nearly a year now, and while the cloth bumpers have worn out these keep going. All in all, a great, sturdy, easy to throw investment that takes abuse and use. I will use these bumpers only from here out, and if you are looking, you should buy these. NSDTR. Hunts. Family pet. Competes. "Super tough yet easy on their mouth and my hands." Super tough yet easy on their mouth and my hands. Easily standing up to 2 Belgian Malinois in DockDiving and retrieving. Not showing a sign of wear after weeks of daily use. Would absolutely buy again! "My dogs absolutey love the bumper." 1 Labrador Retriever and 1 Golden Retriever. Family pet. My dogs absolutey love the bumper. The color is great for the river, current, waves, and different times of day with the available light. My labrador is a chewer and this does not have the valve that she loves to destroy. When they see me get the bumper they know the fun is about to begin! We are 5 minutes from the river and they know the routine. "I like the versatility in color." Lab and Golden. Hunts. Competes. I like the versality in color. I don't have to worry about the sky light conditions as the dogs can see the bumpers on gray and sunny days. "It is very tough and a great training tool." My yellow labs enjoy's her Hexa Bumper. It is very tough and a great training tool. "I believe the durability of the product out weighs the hardness in cold weather." "Love how it stops him from rolling the dummies across the ground"
"Outstanding product at a good price." Outstanding product at a good price. I have had mine for nearly 2 years and use the same 1 every day. It has held up to the daily use and would highly recommend the bumper and Gun Dog Supply . "I really like these bumpers!" I really like these bumpers! They are heavy enough to carry a straight line when thrown in the strong Oklahoma wind, but still light enough that my 9 year old daughter can throw them a reasonable distance for training. I also like the black and white color because it gets the younger dog's attention better than the one color bumpers I was using. Would recommend these to a friend and would buy more for myself. "Has held up very well to extensive use." Has held up very well to extensive use. "The flasher concept is an excellent training tool and training aid"
The flasher concept is an excellent training tool and training aid. The dogs always see the bumpers because of the alternating colors. "4 years old and still going strong"
4 years old and still going strong. Much easier for the dawgs to mark in-flight. "Best pumper on the market." Best pumper on the market. Flat sides provide better surface for training dogs to hold, flasher is great for marking land and water, floats well, perfect weight for hand tossing, very durable. Right size and resists chewing damage. "I think I have used just about every bumper available and now buy the Avery Hex Bumper exclusively. It works well for all age dogs." I am not a professional dog trainer but I train my dogs on an average 3 – 4 days a week year round. I love to duck hunt and in the off season run UKC hunt test. I think I have used just about every bumper available and now buy the Avery Hex Bumper exclusively. It works well for all age dogs. I like its solid, sealed construction because you can go from land to water and not have to worry about it sinking. The bumpers weight, size and rope are great for getting not only distance but when needed, the height. The throw rope size and quality is also easy on your hand which is great when training in groups having multiple dogs. The hex bumper is also easy to clean. Lightly brushing with soap and water will clean these bumpers restoring the white needed for the dog to see it when working on long marks during low light conditions which, to protect your dog from the heat, is when you train during the summer months in Louisiana. Good quality, comes with throw rope, and easy for me to see when I throw it. "Love the durability of the hexabumper." Love the durability of the hexabumper. Nice weight for throwing to gain distance. "Our Lab does not go anywhere without her hexabumper." Both dogs love the HexaBumper B/W Regular Flasher. Our Lab does not go anywhere without her hexabumper. It is very easy for both dogs to see. "Really good bumper, and I plan to buy more." Really good bumper, and I plan to buy more. Really flashes well when spinning in the air. Young dogs really seem to mark well. "the Avery bumper is both my and my dog's favourite!" I purchased a few different bumper brands about 1 year ago from Gun Dog Supply - the Avery bumper is both my and my dog's favourite! The plastic is nice and thick and doesn't "squish" under pressure, and has not been punctured or damaged even after many tug sessions between the dogs. And it's a good weight for throwing. It's proven to be extremely durable for our weimaraner, who is crazy for water retrieving! "These bumpers are some of the best I have tried"
These bumpers are some of the best I have tried. They are very durable, even on cold nights when the many bumpers will crack. They are heavier than the average bumper, which lets you throw them much farther, especially with the included throw rope. I use the flasher mostly, with the orange planted for blinds. Great bumper would recommend them to anyone. This is the only one my puppy will bring completely back to me. I love this one. "In a mixed pile of bumpers the Avery hex is picked up first about 95% of the time"
2 Labs,1 Eng Setter,1 Rescue. Hunts. Family pet. Competes. Excellent quality. Cost a little more but worth the difference in price. Great product. These bumpers are now the only bumpers I put in my training bag. "Gun Dog Supply is my new source for all my training needs!" So far I have not found a bumper that will stand up and take the beating like Avery's. Gun Dog Supply is my new source for all my training needs! Thanks, GDS. "More comfort knowing my dog's teeth will not be as stressed when playing with this toy." Nice and soft! It's durable without being the hard rubber of the other bumpers. More comfort knowing my dog's teeth will not be as stressed when playing with this toy. "Averys are the only bumpers that can stand up to this abuse, and the service from Steve is prompt and cheap!" My older Lab, Max, likes to disappear behind a bush and chew on the bumper (always listening to that devil perched on his left shoulder). Averys are the only bumpers that can stand up to this abuse, and the service from Steve is prompt and cheap! "He loves to retrieve his bumper"
He loves to retrieve his bumper. Awesome bumpers. They are durable and well built! The bumpers are great!! Good size and also have good weight to them. Definitely recommend them for training!! Very durable! Thanks Steve. "My dogs mark the hexabumper B/W Regular Flasher and the Avery Flasher ducks better than any other bumper or dummy duck on the market." My dogs mark the hexabumper B/W Regular Flasher and the Avery Flasher ducks better than any other bumper or dummy duck on the market. These bumpers are great. My dog carries this bumper better then the round bumpers I had. My only problem with them is I need to get more of them. The quility you get for the money is unserpassed. I feel this could be a life time bumper for most. Thanks Steve for the best price out there. Brittany,Pointer,Setter,Lab. Hunts. Family pet. Competes. David Carrington gave me a couple of these several years ago as a test. They are the greatest. I'm up in N/C Nebraska. I forgot my bumpers. I train all my dogs to retrieve. I had some pups that needed to start on bumpers. I went to the web site put in my order and 3 days later UPS shows up at the ranch with the pkg. Service is the main reason I use GDS. I expect good stuff, but when I need it I NEED it. Only problem is that using the web doesn't let me talk to the great folks at Starkville. Maybe I can make up some kind of lame excuse to get someone to call me (LOL). Thanks guys. I love the price. It is simple to use. I like that it comes with a rope at no extra charge. It's easy for the dog too. He can get a good grip without having to bite down to hard. And best of all it is very durable, it still looks new after hundreds of retrieves. If I lost it, I would replace it with the same kind. Qusai uses the zHexagon Bumpers always in competition. Has set the Super Fly Dock Diving World Record for distance May 28,2010 at the Super Retriever Series crown Championship in Little Rock, AK. He won Dock Dogs World Championship in July 2008, Has been the number one diving Lab for the past 3 years and is kust starting back into competition this year as my work schedule has lightened up a bit. Rande Murphy, 6261 Borwnsford Rd., Scottsville, KY 42164 859-940-0210.Thank you Steve, hope we can Talk one day soon. "I really like this bumper. especially for water retrieves." I really like this bumper. especially for water retrieves. The black and white flasher contrast makes it easier for dogs to see the bumper in the water, when sunny days and reflections of the water surface would make it hard to see a single colored bumper. "All the bumpers I bought have held up great!" Yellow lab,Lab mix,and German Shepherd. Family pet. All the bumpers I bought have held up great! Even with my hard tugger! Excellent product....Best bumper that I have ever used. "Soft and tough at the same time." Soft and tough at the same time. "I have been training for over 31 years and these are by far the best quality bumpers made"
I have been training for over 31 years and these are by far the best quality bumpers made. Thanks..
"Hexabumper is very visible for puppy's. it's a great bumper and will last." Hexabumper is very visible for puppy's. it's a great bumper and will last. "I use my HexaBumper for Dock Diving"
I use my HexaBumper for Dock Diving. I like the fact that it is smooth and softer than other bumpers, making it safer for catching in the air. "I have bought these bumpers in the past and loved them! they hold up really well. The new ones I have seem different. they seem softer than the previous ones I have purchased." I have bought these bumpers in the past and loved them! they hold up really well. The new ones I have seem different. they seem softer than the previous ones I have purchased. Good quality for the price. Dogs seem to hold it better than other brands. Shipped very fast, and my dog does very good with them! Love the product. These are wonderful. My dog loves to retrieve these over any other bumper. My pup is 5 months old, and these are just the right size for him. Excellent product. Great product, and great value! "it is certainly hardy and he is enjoying it"
This is just a fetch and retrieve toy for our dog (not training him to hunt), but he loves it. Though I can't say it is indestructible, since I think Riley can destroy anything given time, it is certainly hardy and he is enjoying it. "They are durable and last a long time." Love the Avery bumpers. My dogs love them too. They are durable and last a long time. Very nice product. My dog is able to make it much easier than just the white bumper. I will be making more purchases with Gun Dog Supply. "Great product and holds up great!" Great product and holds up great! Quick shipping and great service! "This product seems to be made of quality materials"
This product seems to be made of quality materials and should hold up well. "Only problem is the knots come loose, and I lost 1 in a pine tree." Only problem is the knots come loose, and I lost 1 in a pine tree. Toughest bumper made. I like the smaller size. Easy to carry several. Good quality. Flasher colors work well. Rope's good quality. Great product and price! Holds up well to training. Chocolate Labs and Belgian Malinois. Family pet. Competes. I compete with my one Lab and Malinois in DockDogs and was going to be attending our World Championships. Having jumped indoors earlier the white bumper I had been using was getting lost to the dog. I borrowed this orange bumper from a friend and it made a huge difference in my Lab's jump so I bought this for Worlds. He loves it. Thanks for your large array of training bumpers and your quick service. "Works great on land and on the water." Heavy and compact, easy to throw long distances. Heavy duty rubber makes for great durability. Works great on land and on the water. "the best most durable bumper on the market today"
The hex bumper is the best most durable bumper on the market today. "Hexabumpers do a great job of encouraging the right hold for a dog." Hexabumpers do a great job of encouraging the right hold for a dog. The design is great and the bumpers are durable. The flasher is perfect for most training situations since the dog can pick up either black or white no matter the background. Good Bumpers!!! Let me know when they go on sale! "They are a little hard for one of my labs. Otherwise durable and good for distance marks." They are a little hard for one of my labs. Otherwise durable and good for distance marks. Love Avery bumpers -- nice feel and weight to them -- easy to throw and the dogs seem to like carrying them around! "This bumper is durable and I like the smaller size bumper." This bumper is durable and I like the smaller size bumper. While I own larger ones, this is small enough for my pup to handle and large enough to work with my old guy as well. "I really like the new formula of rubber for these HexaBumpers." I really like the new formula of rubber for these HexaBumpers. A lot softer than the originals. "I like that they are great for training in all sorts of conditions"
I like that they are great for training in all sorts of conditions...low light, bright sun, and all seasons...summer, or winter here in Maine where we have plenty of snow. This is now the only bumper I will buy. I used to buy non-hex by the dozen. Once I bought a hex, my dog would not go near the old ones. "I use them almost daily in retriever field training. " 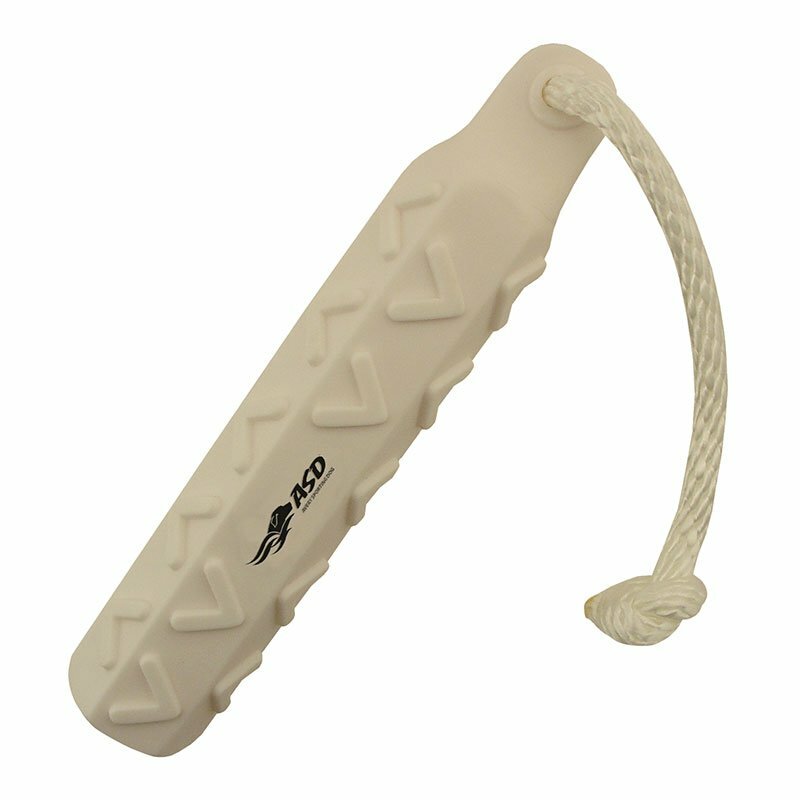 I use them almost daily in retriever field training. They hold up well including the throw ropes. The b/w contrast helps dogs track them from launchers in the field. What is not to like about them? My dogs love them, but they are Dobermans who use them for retrieval play and so they DO NOT have a soft mouth on them and destroy them really quickly. But I'd say if used by a dog the way they are intended they would get a 5.0 easily! Excellent quality. Working out nicely for a 2 year old lab doing a lot of multiple retrieve work in the heat. "These have been my favorites, but they seem to have used a softer rubber on this batch than the last one I bought." These have been my favorites, but they seem to have used a softer rubber on this batch than the last one I bought. I'm not sure they will hold up to the chew tendencies of the dogs I work with. I'll have to be extra vigilant to not let them be left alone with one. Also, the rope knots came undone right away. "If it was longer and a tad heavier, but not as heavy as Plastic Duck's small dog dummy, it would be perfect." If it was 1" longer and a tad heavier, but not as heavy as Plastiduck's small dog dummy, it would be perfect. "Tougher than most products that we have tried." Tougher than most products that we have tried. The product is great but the rope that comes with It was way too short and came off after a few days. Easy enough to replace but then again why should I have to? "I have 2 German Shephards, they love it." I have 2 German Shephards, they love it. They break through them fast though. "This is a quality product"
Sturdy, easy for the dog to see. This is a quality product. The only thing is that I had to change out the throw rope. It is very short, and you can't get alot of distance with it. Very Durable bumper. However the throwing line is too short, and I always replace them. Much tougher than most buoys. Still could be a little more durable. Really like these. They are fantastic. Didn't give them 5 stars because one arrived with a small hole in it. "all of my dogs like these"
all of my dogs like these and the younger finds them easy to pick up. Perfect for training, but would recommend the orange for visibility. "material could be a little harder"
Dogs not adjusting to the exterior, but hoping he will adjust soon. Good solid bumpers. Nice rope and seem like they will hold up. A little shorter than the round bumper. The included rope is great, and ready to go out of the package. Works pretty well, made of a softer plastic than other bumpers. Lost a couple of the throw ropes already. Wish I would have gotten the larger size instead. Throw ropes fell off each one. It needs to be a 1/2 inch wider. Ok bumper. Is shorter than I normally use; just a matter of getting use to it I think. Quality is good. "I use this for dock diving and is the perfect size for my border collie to retrieve." I use this for dock diving and is the perfect size for my border collie to retrieve. "Throw ropes are too short." Throw ropes are too short. Other than that, they are really durable and hold up to the rigors of training. "The White is PAINTED on the black dummy to achieve a Black and White product. The paint started rubbing off within a few days of use. I would NEVER knowingly give my dog a painted product likely made in China that may use lead in their paint." Unfortunately I can't rate these dummies separately by color. If I could, I'd give the white and orange 5 Star - Excellent ratings. The Black/White dummy would receive a 1 Star - Awful rating. The White is PAINTED on the black dummy to achieve a Black and White product. The paint started rubbing off within a few days of use. I would NEVER knowingly give my dog a painted product likely made in China that may use lead in their paint. To GunDogSupply.com's credit, they sent me a replacement dummy (in solid Orange) free of charge when they heard of my complaint. I'd give GunDogSupply.com's customer service a 5 Star - Excellent rating!! Strings keep coming off the bumpers. Knots not holding. "I like the design, but don't like the hardness of it. I prefer a softer bumper." I like the design, but don't like the hardness of it. I prefer a softer bumper. "Knots on rope came undone during the first week, and the rope came completely apart not long after that." Knots on rope came undone during the first week, and the rope came completely apart not long after that. Dog does like the plastic better than others. I do not think there was mention of size. They are 2 inch thick, not 3. The bumper throws pretty great, and it gets distance. My dogs loves it! The only problem is that it's not very chew proof. Just from playing fetch, my dog had managed to almost chew it in half (which he has never done before). Otherwise great product. Durability is lacking. Lasted less than a week before it was punctured and the rope came out. It's a lot softer than the other bumpers I ordered. Could be good for a teething pup. Too damn hard. Not worth the extra money. Your standard EZ Rotational is alot better. It had three holes bitten in it, and by the end of three days there were so many that it wouldn't float. The dog wasn't allowed to play with it, and so he bit through it while water retrieving. This bumper cracked while using it in the cold weather with in a few months of light use. It did not hit concrete or rocks or anything that would have made sense, it just split right down the side. Maybe there is a seem there or something. I am mostly pleased with all other Avery products, so I will give them the benefit of the doubt on this one, maybe it was just from a bad batch, but I would not buy another one of these models. Too expensive and far to hard for the dog. You could easily break a tooth on a breaking bumper. I will not buy more of these. The device was destroyed in the first encounter with my dog. He bit the end of where the rope is attached. The HexaBumper is the first bumper innovation in years! Your dog can't mark what he can't see so be fair to him by selecting the appropriate color bumper for each scenario. Training situations change often and can vary from one mark to the next in the same set up so make sure you have several of each color bumper when you head out for training. This simple rule of thumb will help you maximize your training time and efficiency. Help your dog be successful! Round up your bumpers and store them in a bag or bucket at the end of each training session. A bumper that is lying around becomes an invitation to a young dog to chew on. Not only is this negative reinforcement to your dog's mark training, but it is almost sure to get you an expensive and unnecessary trip to your vet's office. If you keep it simple, you'll avoid complications! Let's go to the Woods!